What is economic activity? Economic activities are production processes that through the use of factors of production create goods and services to meet the needs of individuals in the economy. The economic activity of a country can be classified into primary sector, secondary sector, tertiary sector, and quaternary sector. Through these activities, we are able to extract resources, transform raw materials and offer services respectively. What are the economic activities? Agriculture, breeding, forestry, fishery, hunting, and mining. 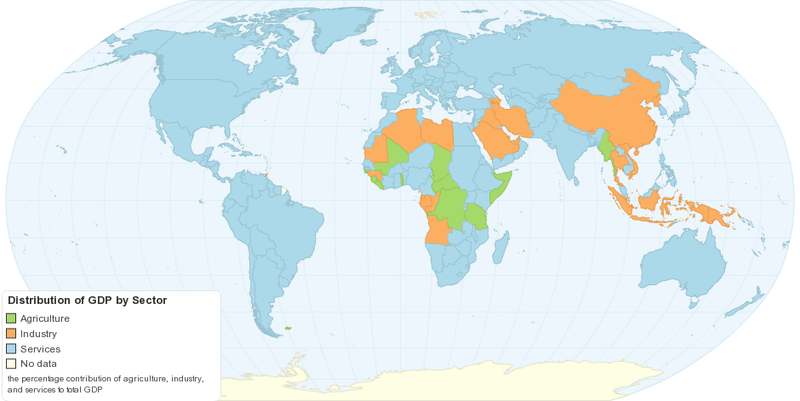 Manufacturing, construction, generation and distribution of clean water, electricity, and gas. Retail trade, real estate, governmental and judicial activities, insurance and financial services, health services, media, transportation and storage, educational services, hotels and restaurants, telecommunications. Since resources are finite, there are priorities in choosing what to produce, how to Produce and for whom to produce. This choice results in the economic activity and depends on the economic system. If it is a command economy, then the State decides the productions levels, its price, and distribution, who can produce it, etc. If it is a market economy, then the private individuals (families and companies) decide for themselves the production of goods and services based on prices, costs, incentives, etc. Economic activities create wealth. Any form of economic activity generates wealth, but its magnitude depends on multiple factors like competition in the market, costs of production, existing technology, government constraints, etc. This also makes some economic activities more profitable than others. In general, the tertiary activities or the service sector have the highest profitability, then the secondary or industrial activities and finally the primary sector or extractive activities. Although it is possible that due to different factors, primary activities would be the most profitable. For example an oil bonanza. The sum of the market price value of all goods and services produced by an economy in its various economic activities over a given period of time and within its geographical boundaries is called GDP. Hence, economic activities are measured through several indicators: most notable being nominal GDP and real GDP. Non-Economic activities are characterized by the absence of an economic counterpart or the price paid by the consumer is not correlated to the effective cost of the service. Charitable activities. labor looking for a social benefit based on solidarity and without economic benefits. For example public education, community work or social aid. Household chores like dusting, washing dishes, child care, sewing clothes or making repairs at home. 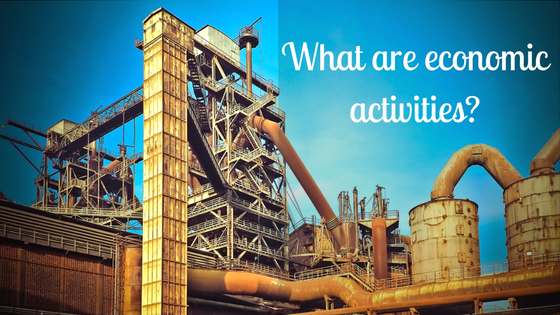 Economic Activity: What are economic activities? Economic activities are production processes that through the use of factors of production create goods and services to meet the needs of individuals in the economy. Primary, secondary and tertiary sector. Economic activity as a choice.